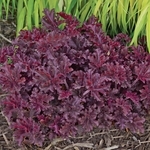 Coral Bells 'Melting Fire' features deep maroon leaves with heavy ruffling. New foliage appears red - very dramatic! 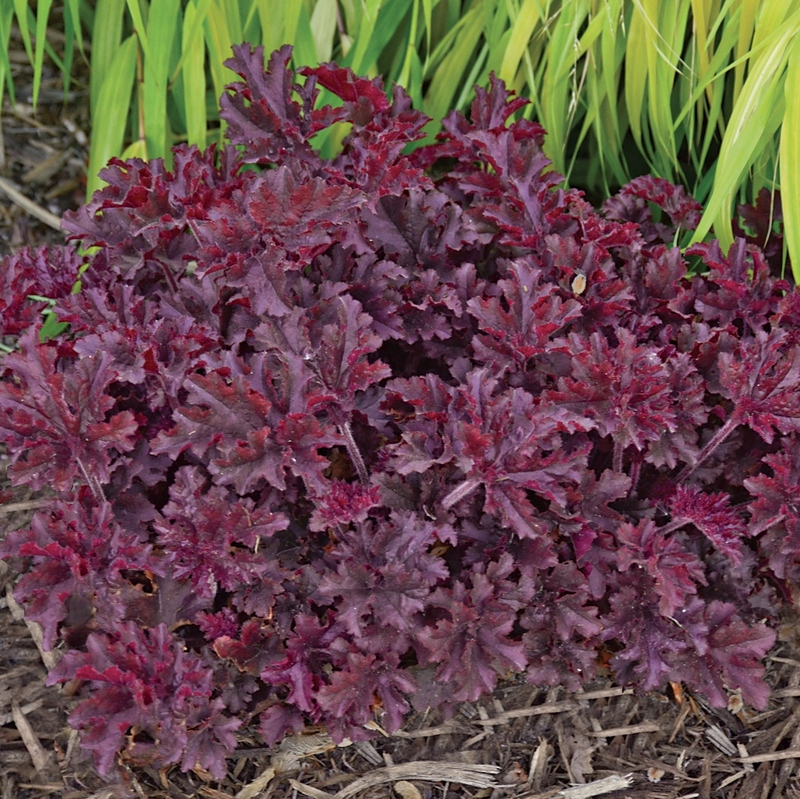 Flowers bloom on 18" tall dark red stems well above the compact mound of foliage. Wonderful color with interesting texture. 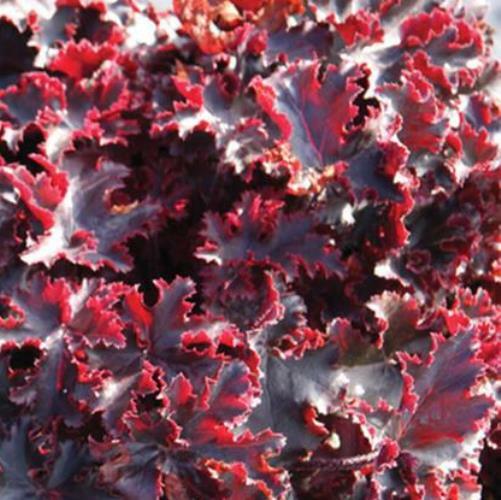 One of the few heuchera that self-seeds true. It has been described as "dazzling". We agree.